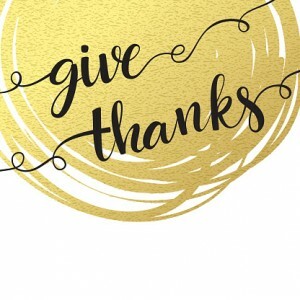 There’s so much to be thankful for this Thanksgiving – what’s on your list? How about services and products that make your life a little easier? Cooking is a whole lot cleaner and safer when you rely on Flue Steam for all your commercial kitchen air control and fire prevention needs. We’ve been Southern California’s favorite commercial kitchen support company for over 48 years! We deeply value every single one of our clients, so that’s why many of them rely on Flue Steam for many years. When you contact us for the first time, and every time you contact us after that, you’ll feel like our only client! Your phone calls and emails will be returned promptly, and if you ever need emergency service, our company truck will appear in your commercial kitchen parking lot ASAP. Anyone who owns or operates a commercial kitchen in Southern California could benefit from partnering with Flue Steam. Call 800-700-FLUE or email contact@fluesteam.com for a personalized consultation about your commercial kitchen needs, and we’d be happy to recommend certain services to you. Why do our services matter? Commercial kitchens rely on Flue Steam for air control and fire prevention every day. That means the services we provide help keep your commercial kitchen in compliance with federal and state regulations, so you won’t have to worry about keeping it up to code all the time. And you also won’t have to worry about a fire breaking out in your commercial kitchen when Flue Steam is taking care of flue cleaning and other preventative safety measures. We know that having a restaurant, hotel, or other commercial kitchen business can be incredibly-fast paced, and sometimes emergencies arise that must be taken care of immediately. That’s why we offer 24/7 emergency service to all our clients. We are always on call at 800-700-FLUE. When you call, one of our company trucks will be in your parking lot ASAP. Our technicians can quickly repair your fan motor, swamp cooler, automatic fire suppression system, or automatic gas shutoff valve at any time—even on Thanksgiving or Christmas! Emergency cleaning is also available when you call 800-700-FLUE. Call 800-700-FLUE or email contact@fluesteam.com to start establishing your lifetime partnership with Flue Steam. We’d be happy to discuss your options with you, answer any questions you may have, and sign you up for regular cleanings. It’ll be on major task you can permanently check off your To Do list—definitely something to be grateful for! Happy Thanksgiving from all of us at Flue Steam.